“We’ve got lots of runway left!” That’s a declaration often made in casual conversations by confident business executives and economists. They are referring to the continued post-recession expansion of the U.S. economy. Now more than seven years old, the current expansion is 40% longer than the average of the growth periods since World War II. Dismal scientists (i.e., economists) unceasingly try—and fail—to predict recessions. Even though recessions are always on everyone’s economic horizon, enduring and painful contractions, when growth falls off a cliff, are not only impossible to predict, they are often undetected until the nation is in free fall. 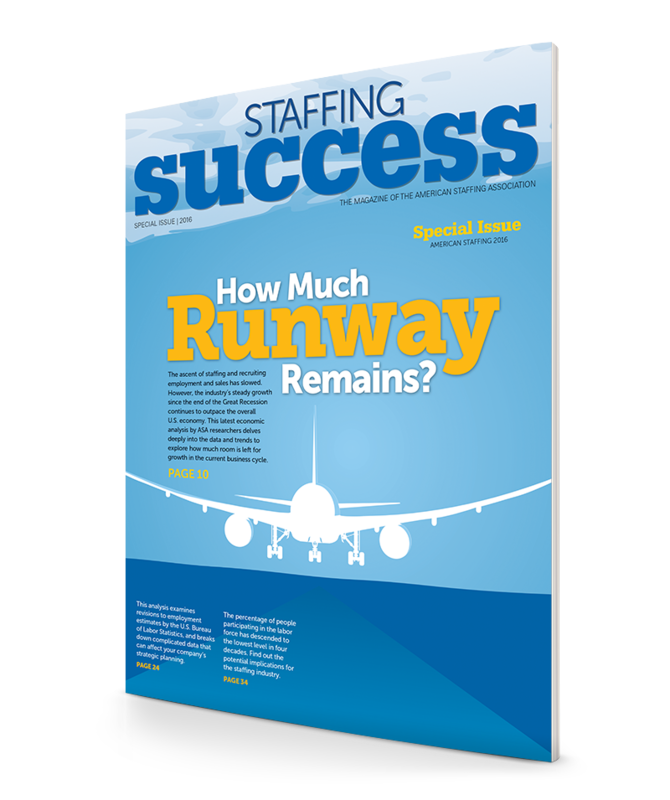 How Often Does BLS Overestimate Staffing Industry Monthly Employment? Where Have the Workers Gone?